I remember distinctly this time last year being sat in front of the log burner in our home up north last year, watching with fascination live video footage on Facebook of the Festival of Light happening in the streets of Bromsgrove. It was one of the few moments up north I felt particularly homesick and longed to be part of the culture happening within what was once our local community. 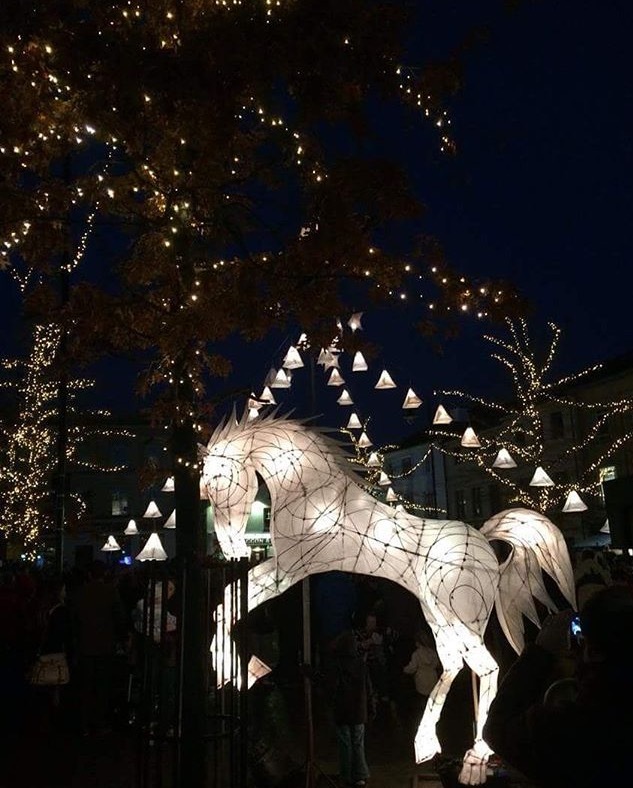 Now that we’re back in Bromsgrove we want to engage with local community events as much as possible, and the Festival of Light is an event we’re looking forward to seeing. Organised by the Artrix Arts Centre’s Associate Artist Kristoffer Huball in collaboration with Shademakers, this years Festival of Light, to be held on Sunday 9th December, promises to be an amazing spectacle! The candlelit procession will start at 5pm just outside Poundland, and will make it’s way up the High Street towards Argos. The procession will be accompanied by dancers and together they will march gracefully to the tune provided by musicians in cold and the dark. As you can see from the photos and the videos there are some incredibly creative lantern designs. Please be aware that no lanterns will be released into the sky. This event is free of charge to attend and can be enjoyed by all ages. We will be going so we hope to see you there!